If you’ve ever visited the city of Boston or have spent any significant amount of time here, you’ve probably fallen in love. Don’t worry, we won’t hold it against you; we love this area, too! In fact, many of our clients found us when they were buying a second home or vacation home in Boston. From the quaint and affordable beach towns of Scituate, Marshfield and Ipswich to the exclusive communities of Nantucket, Duxbury and Provincetown, you’ll find that Boston offers a wealth of exceptional waterfront homes that are fantastic as primary residences. However, Boston has other options for waterfront living, such as Back Bay real estate that offers expansive views of the Charles River. Of course, if this is something you’re interested in, our team of Back Bay Realtors can help you find the property with the view you desire. 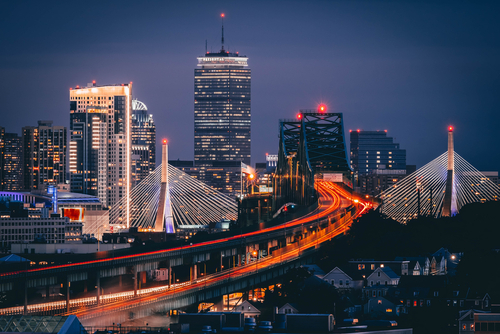 If you’re thinking about buying a second home or vacation home in Boston, our team at Terrier Residential has put together a few tips that we recommend you consider during your search. While this is not a comprehensive list, it will get you started on the right track to finding your dream property here in Boston or the surrounding metropolitan area. Let’s take a look. 1. Always Research the Location: The value of a second or vacation home is largely determined by its location, such as how close it is to downtown Boston or the ocean/water. Be sure to visit these areas in the off-season to get an idea of what the year-round community is like. Also consider the proximity of your proposed vacation home to your current residence. You’ll want to ensure that you’re not too far away to enjoy your new vacation home, but also far enough away to feel like you’re actually on vacation. 2. Explore the Rental Value: One of the best ways to pay for your new vacation or second home is to rent the property when you’re not using it. If this is a top priority to you, then attractive amenities should be your focus. Fantastic views, an outdoor space with a pool, proximity to local attractions, and waterfront properties always attract potential renters. Also ask your Realtor to help you research the going rates in the area to see if they align with your current financial plan. 3. Cost of Ownership: When buying a second home or vacation home in Boston, you’ll also want to think about ongoing maintenance costs. Additional costs that may come into play include Home Owners Association fees, home improvements, caretaker fees for the off-season, and rental management fees. It is always a good idea to set aside between 7 and 10 percent of what you originally budgeted to invest in your new home, to cover any unforeseen expenses. A home warranty is another option that many second and vacation homeowners consider. 4. Shop for the Best Rate: Just like buying your primary home, always shop mortgage rates. While mortgage rates on second homes are often higher than those on your primary residence, ask your Realtor for recommendations on mortgage brokers who can quote you the best rates. If your primary use will be as a rental property, you can often find lower rates than that of a vacation home. 5. Explore the Market: Take your time to explore the Boston real estate market. You’ll know the right second home or vacation property when you see it. It is important to remember to be patient so that you don’t end up paying more than you expected, traveling further than you intended, or discovering the home needs more improvement or carrying costs than you intended. These are just a few of the many details that should be considered when thinking about buying a second home or vacation home in Boston. Whether you’re looking for an oceanfront home as your summer playground, a quaint condominium in the heart of Boston’s Financial District that you can use for work trips, or an income-producing rental property in one of the area’s numerous sought-after neighborhoods, let our team at Terrier Residential be your guide to the best properties. Specialists in Boston real estate and the surrounding suburbs, we look forward to hearing from you and to helping you find the property that best suits your needs. Connect with us today to learn more; we are just a phone call away. Last updated April 25 at 11:48 am.